Every vehicle requires regular maintenance including the Toyota Tacoma. If your headlights are dim or not working at all, it is a big safety issue that you need to address ASAP. Here is how to change them out. Having properly working headlights is critical to making sure you are driving safely. Here are the steps to replace burned out bulbs. Before trying this repair, make sure you have an adequate work space and time. This is normally a quick operation, but if something goes wrong, you will want to make sure you have ample time and space to address the problem. First, pop your hood and locate the headlight assembly. Next, find the rubber circle that sits at the rear of the headlight inside the hood. You will find an electronic connector attached to the bulb, unhook this connector. It should poploff after squeezing both sides. Remove the rubber housing and you will find a metal clip that holds the bulb in. Push down on the metal clip and slide it out of the way. Your bulb is now free. Looking at the new bulb (making sure not to touch it), you will find three different tabs. As you place the new bulb back in the housing, you will want to line up the metal tabs and the slots they slide in. 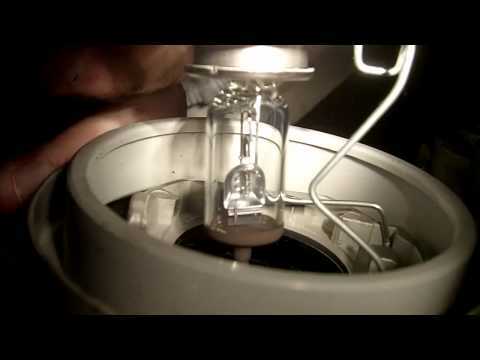 This can be easily accomplished by reinserting the bulb the same way you pulled it out. Make sure you replace the rubber housing (if you removed it) and slide it all the way into place. This is a moisture shield that keeps your headlight clear. Lastly, reconnect your electrical connection. Congrats you have replaced your light bulbs in your Toyota Tacoma.